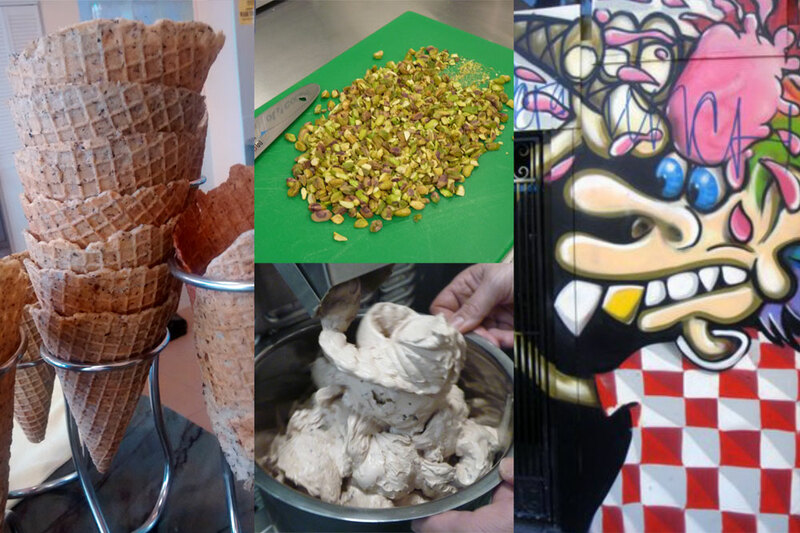 At ShakeDown, we use only the finest, freshest and purest ingredients for our handmade, artisanal ice creams. The same holds true for our freshly made, hand rolled waffle cones and bowls. One taste and you will understand why we believe that we have created the most unique ice cream flavors in all of San Francisco. *Our flavors rotate frequently, not all flavors are available every day. *Just a sample of our flavor selections of our non-dairy options - our sorbets change frequently! Sorbet and Sherbet flavors are seasonal based on the freshest and best produce available. Tori Farms peaches...in sorbet form! *Our Sherbets are made with dairy, but are egg free. We offer sundaes with 1 scoop, 2 scoops or 3 scoops. Sundaes are served in our house-made waffle bowls and topped with your choice of our delicious, house-made toppings and fresh whipped cream! A junior scoop of every flavor in the cabinet!